Paraninfo de la Universidad de Zaragoza (Main Hall of the University of Zaragoza). Main entrance at Plaza Paraiso. Mapa. Street View. Paraninfo Website (in Spanish). Facultad de Ciencias Económicas y Empresariales (Faculty of Economics and Business Studies). 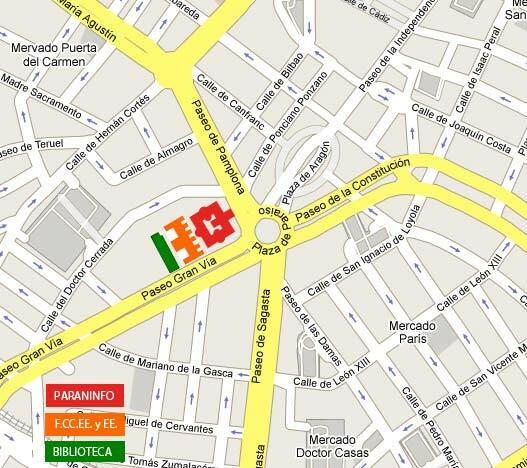 There are two entrances to this building: Gran Vía 2 or Doctor Cerrada 3. Mapa. Street View. Faculty website (in Spanish).